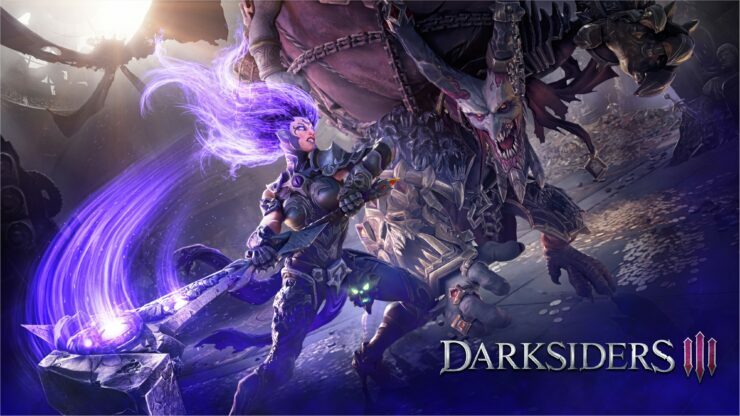 The first tidbits of information on Darksiders III DLC were just revealed in a press release sent out today by THQ Nordic. Players can look forward to new playable areas featuring new challenges, puzzles, items and enemies in The Crucible and Keepers of the Void. Both of these Darksiders III DLC are included with the Deluxe Edition, currently available with a slight discount for $69.99. It is unclear whether these DLC expansions will be available for separate purchase, though logic would suggest they will eventually. Darksiders III is due on November 27th for PC, PlayStation 4 and Xbox One. Last week Chris posted his first impressions after playing a preview build of the game and seemed to rather like it so far. […] we don’t have a long time to wait for Darksiders III. While I’ve found myself frustrated, at least to an extent, while playing through the game, a lot of it has been through my missing of paths or the learning process of combat. There’s a lot of promise to be found here. I certainly think the move to a more calculated battle system in a less linear world that allows for more exploration will benefit the game greatly.